Mars captured at 640x480 1/125s exposures@50fps best 5% of 2500 frames captured in K3CCDTools and Stacked/Processed in Registax. It was fairly breezy and seeing wasn't too good though the sky looked very clear. Could have done with taking it to f40 but I'm not sure if the conditions would have allowed the extra magnification. 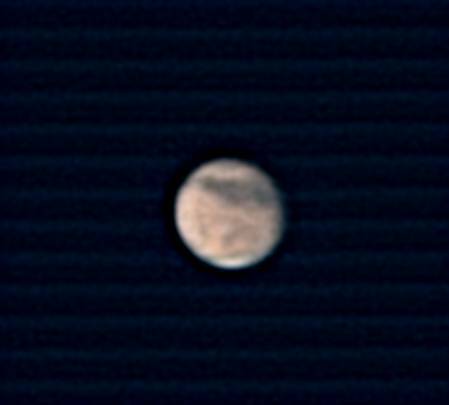 Mars is 50 pixels high in this composite.